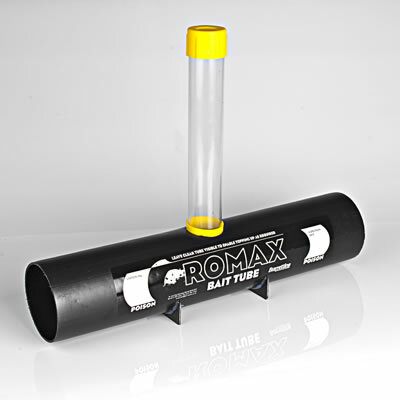 Rat Bait Stations must be used in any situation where there is a risk of poisoning non-target species and to prevent access to rodenticides by pets or children. 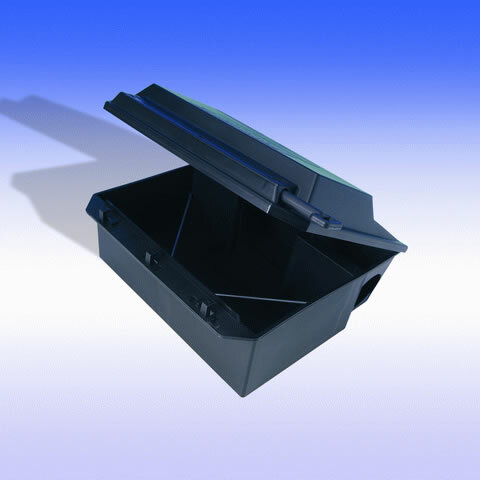 Rat bait stations are used to contain rodenticide in a tamper proof enclosure. 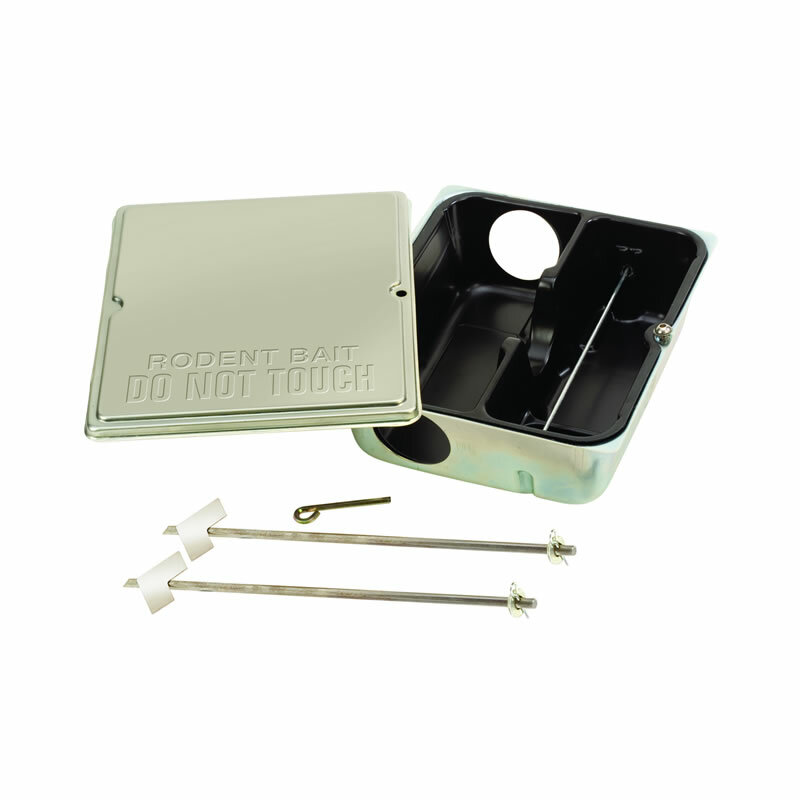 Rat bait stations can be used to contain grain, paste and block bait formulations. 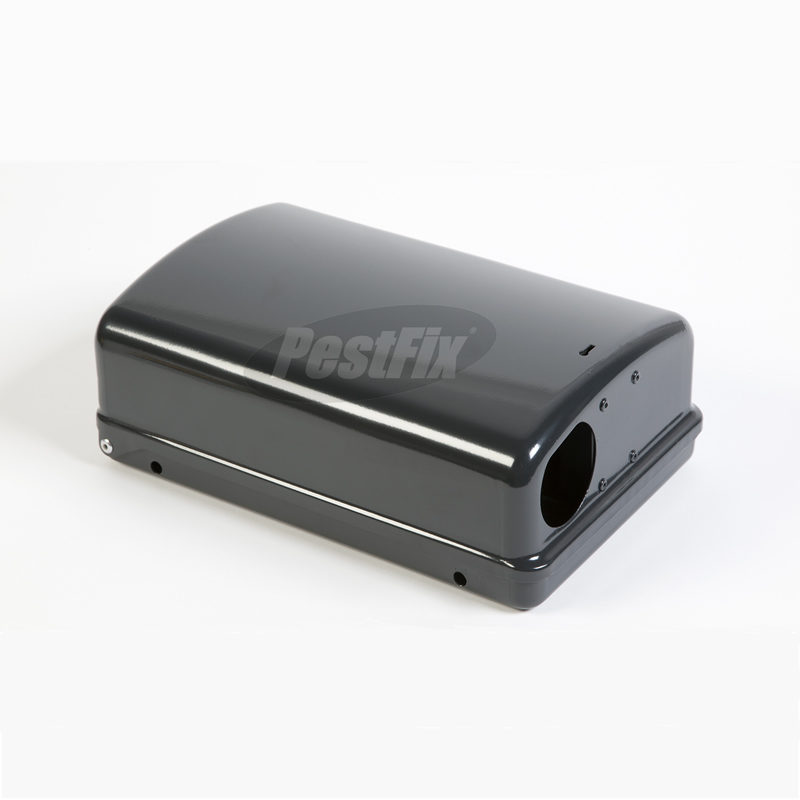 Rat bait boxes are much larger than mouse bait boxes and are not inter-changeable. Rodents feel safe and secure inside the bait station meaning that they will feed on rodenticide for longer periods. 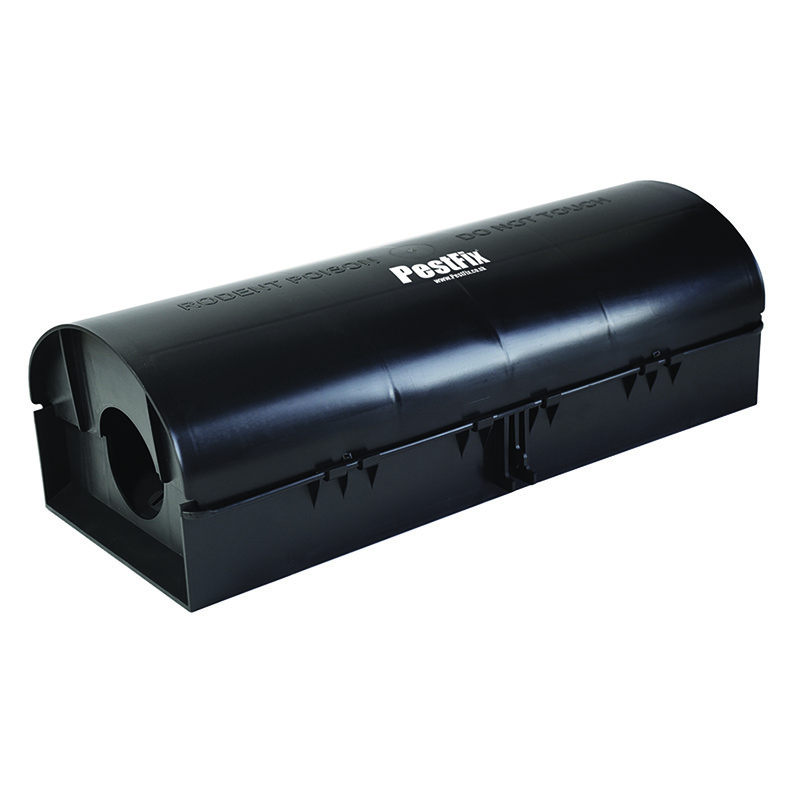 In outdoor situations rat bait stations protect the rodenticide from the worst of the weather, prolonging the service life of the rodenticide and reducing costs. Containing rodenticide in a bait station reduces the risk of spillage and hence reduces the risk of poisoning non-target species. 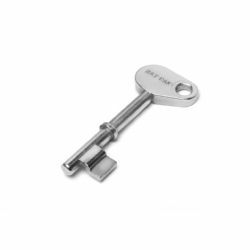 Most rat bait stations are built to be tamper-proof, especially outdoor units, meaning that they are resistant to vandalism, inquisitive children and non target animals. 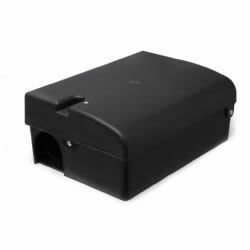 Rat bait stations allow the user to monitor rodenticide consumption easily as the bait can easily be checked visually.